Grizzly Man is the fourth and final documentary on my top 100 films list. Werner Herzog’s intimate and disturbing look at the life and death of the controversial Timothy Treadwell was one of the films that introduced me to the power of documentaries, and is an experience that I will never be able to forget. Grizzly Man is composed of videos captured by Timothy Treadwell, a nature and bear enthusiast who spent a great deal of time camping in Katmai National Park in order to capture footage of grizzly bears. Treadwell claimed that he was a “protector” of the bears, warding off poachers while forming strong relationships with the unpredictable animals. Interspersed throughout are interviews with family and friends of Treadwell, as well as those who encountered Timothy along the way on his adventures. Treadwell is painted as a deeply caring but reckless man whose trust in the grizzly bears eventually cost him his life. Werner Herzog’s Grizzly Man is a masterpiece in terms of editing and story structure, combining hundreds of hours of tape into a film that clocks in at less than two hours. Herzog’s attitude towards Treadwell is made clear from the onset of the project – the director is fascinated by the bear-enthusiast, but also deeply disturbed by his point of view and actions. Despite this, Herzog constructs a beautiful and often endearing portrait of Timothy Treadwell, never straying into exploitative territory like some documentarians would have done. Treadwell consistently proves to be a fascinating and complex character, making Grizzly Man a powerful and moving character study. It never shies away from Timothy’s obsessive and naive character traits, but also never punishes him for these things. The footage that Treadwell managed to capture during his camping trips is stunning, with bears and other animals making regular appearances in the background and foreground – Timothy even approaches the bears confidently on multiple occasions. Herzog notes that he admires Treadwell as a filmmaker, as his talents are clear. As always, Werner Herzog adds a sense of pitch black humor to the project through the use of deadpan narration, helping the story flow along at a quick pace. 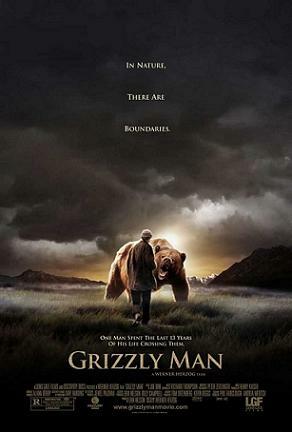 Grizzly Man is a profound and moving experience the likes of which only comes around once in a lifetime. No matter what your opinion of Timothy Treadwell, I implore you to see Grizzly Man. “Coven sounds like oven, man…and that just doesn’t work” – 1999’s Sundance Film Festival darling American Movie has it all, it’s hilarious, touching, and weirdly inspirational for what is essentially one of the weirdest “making of” documentaries ever made. The film follows young Mark Borchardt, an aspiring film director looking to make two films, a short horror film Coven and a slice-of-life indie called Northwestern, both of which have been passion projects of his for years, and his many blunders along the way. Mark, our star, is easily one of the most lovably odd characters in documentary film history, rivalling only Grey Gardens’ Big and Little Edie. Mark’s desire to see his film Coven to the very end, despite having no experience in the filmmaking world and encountering plenty of roadblocks along the way, is truly inspirational for anybody passionate about creating anything artistic. 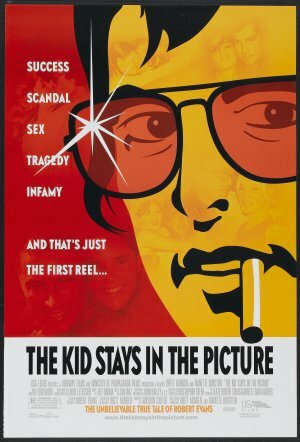 Everybody can relate to the story being told in American Movie, despite how quirky and over-the-top some of its small town characters may be. 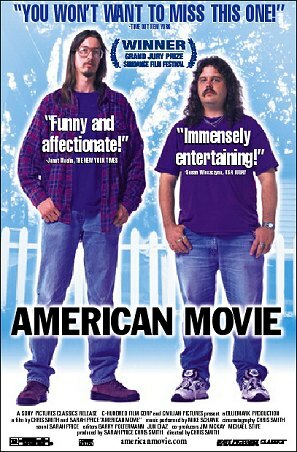 The absolute highlights of American Movie include any scene with Mark and his best friend Mike Schank, who delivers some of the funniest lines in any documentary film I’ve ever seen. Mark and Mike have such a wonderful on-screen chemistry together, at the end of the movie’s short run-time you’ll be begging for much, much more. I don’t want to say too much about American Movie, because I really do think that it’s a film absolutely everybody should see and enjoy. If you’re passionate about creating anything in your life and love hilariously quirky small-town folk, American Movie is absolutely the film for you. On a far more real, less silly note, Steve James’ remarkable and highly-acclaimed Hoop Dreams is everything that American Movie isn’t. While Hoop Dreams can still be seen as inspirational and uplifting to many, Steve James’ documentary is a much more bleak story about following your dreams, but not always arriving to the conclusion you’d like to see. Hoop Dreams is seen by many critics as being one of the greatest documentaries of the modern era, highlighting major social issues in a touching, interesting, and subtle way. The documentary follows young basketball hopefuls William Gates and Arthur Agee, both of whom are scouted and subsequently recruited from St. Joseph High School in Illinois. Both Gates and Agee struggle with keeping their grades up to par while also training for and playing basketball, as well as face the many struggles of being young lower-class African-Americans in a predominantly white area. We watch these two young athletes overcome injuries, find work and try to hone their skills in one of the most highly-competitive sports in America, and try to overcome adversities like race, social class, and lack of economic and educational support. Hoop Dreams is a terrific film that absolutely lives up to its tremendous reputation, but isn’t always easy to watch because of the hardships these talented kids face. 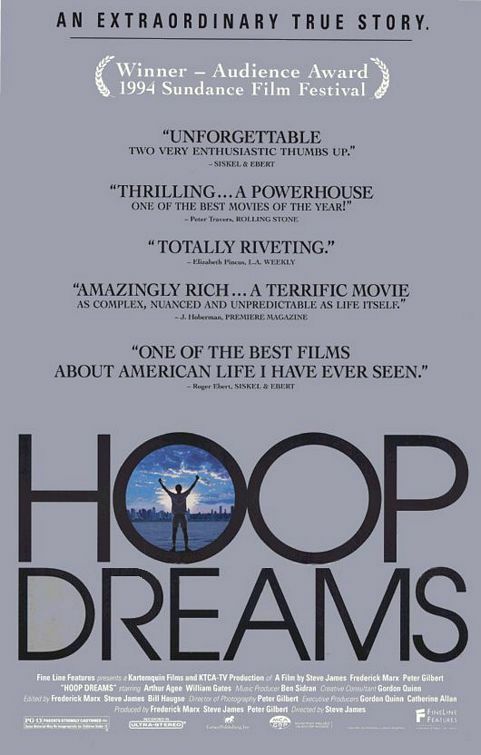 Despite its length (nearly 2 ½ hours), Hoop Dreams flies by and is a very smooth watch, largely in part to its editing which earned the film its sole Academy Award nomination. If you’re at all interested in sports or stories of people trying to overcome social class and other hugely important issues, seek out Hoop Dreams immediately. Not only is it an incredibly well-made documentary, but it’s also one of the most important films of its kind. Hoop Dreams is available on blu-ray from the Criterion Collection. 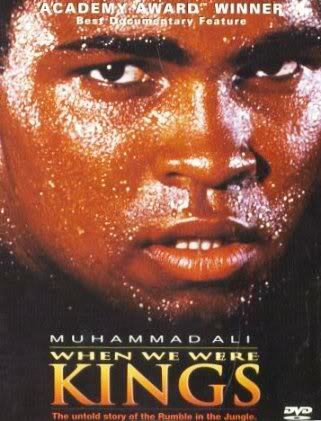 “Ali Bomaye!” – When We Were Kings is almost universally considered to be one of the all-time greatest sports documentaries ever made, and in my opinion it absolutely lives up to that terrific reputation. While never as serious or eye-opening as Hoop Dreams, When We Were Kings is a tremendously entertaining film that documents one of boxing’s greatest upset victories, as well as a cultural phenomenon of the time. The Oscar-winning documentary tells the incredible story of 1974’s “Rumble in the Jungle”, where grizzled boxing veteran Muhammad Ali took on the undefeated heavyweight champion of the world, George Foreman. Despite the big game Muhammad Ali talked in the lead-up to his fight with Foreman, the world had already written the bout off as being an easy Foreman win. What followed would shock the boxing world, and go down as one of the most important and iconic fights of all-time. When We Were Kings shows how the fight in Zaire, Africa (now the Democratic Republic of the Congo) became a hugely important event in the sports world and in pop culture, featuring performances by singers James Brown and B.B. King, and shows Muhammad Ali and his trash-talking of his intimidating and talented opponent George Foreman in all its glory. The film features interviews with many officials involved in the fight, and other admirers of the iconic match, including writer Norman Mailer and filmmaker Spike Lee. When We Were Kings is an incredibly entertaining and thrilling account of one hell of an underdog story, and is a documentary I quote and think of very often. Ari Folman’s incredible war documentary Waltz with Bashir is without a doubt the most unique film on my top 20 list, as it is entirely told through animation. The film was nominated for an Academy Award for Best Foreign-Language Film after missing the boat on being entered into the documentary category, something which very rarely happens for a documentary film. 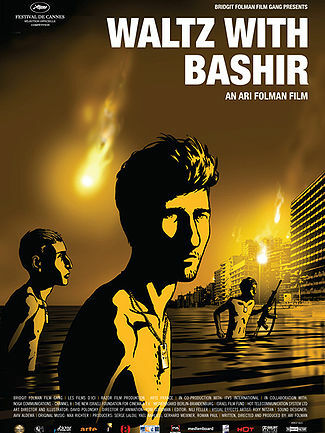 Ari Folman’s highly-acclaimed and tremendously important Waltz with Bashir tells the story of the director’s own time in the Israel Defense Forces during the 1980’s, specifically his experiences in the Lebanon War. Folman travels to meet a friend from his time serving in the military, who reveals that he has been experiencing nightmares and flashbacks connected to their experience in the war. Folman, unable to recount specifics from his time serving in the forces, seeks out former friends and colleagues who help him piece the events together through anecdotes recreated in animated segments. Many of the events recalled in Waltz with Bashir are horrific and very difficult to watch at times, but this is helped by opting to animate the events as they happen. The animation is absolutely stunning and unique in its vision, and helps to tell a story that would otherwise be impossible to recount in a live-action documentary film. Though Folman’s movie can be very difficult to watch, this is exactly what makes it such an important work, as it tells horrific stories of a war that the world needed to hear about. The film touches on important themes and social issues like post-traumatic stress disorder (PTSD), specifically for those involved in the special forces. Though the film’s subject matter and nightmarish sequences may be difficult to swallow for some, Waltz with Bashir is a must-see film and one of the most important documentaries of our time. Ari Folman’s doc is available in both its original Hebrew-language and a dubbed English-version of the film, both of which come highly recommended. Here it is, folks. 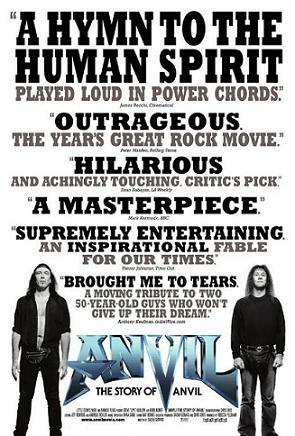 The greatest documentary ever made, and personally one of my all-time favorite films period. Werner Herzog’s incredible film Grizzly Man is incomparable, and works in a way that I can hardly even describe. The film tells the tragic story of eccentric nature-enthusiast Timothy Treadwell, who spends his Summer’s in Alaska’s Katmai National Park and Preserve, living with grizzly bears, getting to know them, interacting with them, documenting them with his video camera, and warding off alleged “poachers”. We are treated to many stunning videos of Timothy Treadwell approaching massive man-eating bears without so much as a second thought, chasing adorable foxes, hiking, and making hilarious observations while going about his regular schedule in the Preserve. The highlight of Herzog’s film comes when a young fox steals Tim’s hat, and he is forced to give chase, swearing and yelling for the fox to return his hat. While many may think that Treadwell, our main character in Grizzly Man, was reckless in his comfort with the bears and that he deserved what eventually came to him, I see Timothy as a hopelessly romantic, tragic character. Timothy Treadwell spent thirteen years of his life pursuing something he adored, and never backing away no matter how terrifying or trying things got, and there’s just something so absolutely romantic and admirable about that. Werner Herzog treats his subject with the utmost respect, while also questioning the logic and motive behind some of Treadwell’s questionable actions and decisions. If you know anything about the titular “grizzly man”, you know that this story doesn’t exactly have a happy ending. Despite knowing the conclusion from the get-go, this film keeps you guessing what the fate of Tim Treadwell will be, and does everything in its power to hold the attention of its audience. This is a story of how dangerous and beautiful nature is, and the fine-line humans tread between respecting that danger and underestimating it. Grizzly Man features breathtaking scenes, an absolutely stranger than fiction story, and is guaranteed to either infuriate or bring you to tears. I think it’s a crime that Herzog’s Grizzly Man has not been seen by more people, and I recommend you seek it out immediately if you haven’t already seen this incredible film. 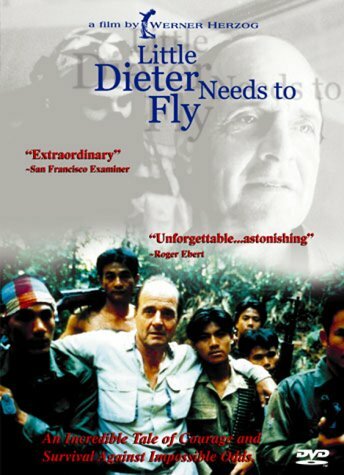 Werner Herzog is one, if not the most, influential documentary filmmaker of our time after a host of incredible and successful documentaries like the incomparable Grizzly Man, Lessons of Darkness, Happy People: A Year in the Taiga, Little Dieter Needs to Fly, and his most recent Into the Abyss. His eye for quirky interview subjects, beautiful scenery, relatively uncovered film subjects, and his penchant for asking really, really, really (REALLY) big questions of the audience have turned Werner Herzog into something of a cultural icon in the film world. His narration is often lovingly mocked by those in the film community, and comedian Paul F. Tompkins has even made it a regular part of his act on television and podcasts. The bottom line is that Werner Herzog is incredibly influential, and has given us some of the greatest documentary and narrative films of our generation, and deserves to be discovered by an even wider audience. These three films were blind spots in my viewing of Herzog’s documentary filmography, and even though I had different reactions to the lot of them, I’m incredibly happy that I finally sought them out. If you’ve never seen a Herzog film, do yourself a favor and see Grizzly Man as soon as humanly possible. It will change the way you view the art of documentary filmmaking. Werner Herzog’s 2010 documentary was originally released in 3D, and I’m very upset that I didn’t have the opportunity to see it as it was originally intended. 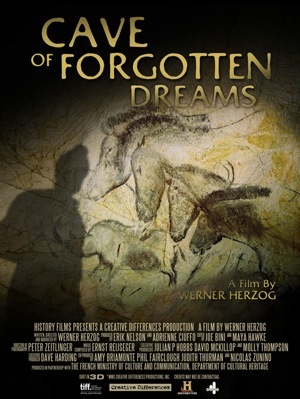 In Cave of Forgotten Dreams, Werner Herzog takes the audience on a tour of the Chauvet Cave in France, where some of the oldest surviving human art was discovered in the 1990’s. The cave paintings were created over 30,000 years ago, and are very carefully preserved by the French government. Due to the sensitive nature and rarity of the paintings, the general public is not actually admitted to exploring the cave, and even Werner Herzog himself was only able to take himself and three others to film the documentary. Special walkways were created for those permitted into the cave, anything off the path being strictly prohibited. The cave and the ancient art inside are absolutely beautiful, and it’s hard to imagine that these images were created so long ago. Alongside the paintings are many bones of the now extinct cave bear, a relic and a major find in themselves. Herzog manages to find experts in the archaeological field, interviewing them about various items found in the area surrounding the cave, including an ancient wind instrument, as well as a spear of sorts. These experts in question are ridiculous and quirky and incredibly fun to watch in their brief appearances on screen. One of the experts in question happens to be a perfume creator, and goes about finding cave openings in the woods using only the power his nose, another is openly mocked by Herzog about his spear-throwing abilities. It is these interviews coupled with the imagery that makes Cave of Forgotten Dreams an absolute delight. I would highly recommend this film to both Herzog rookies and seasoned veterans alike. High recommendation. 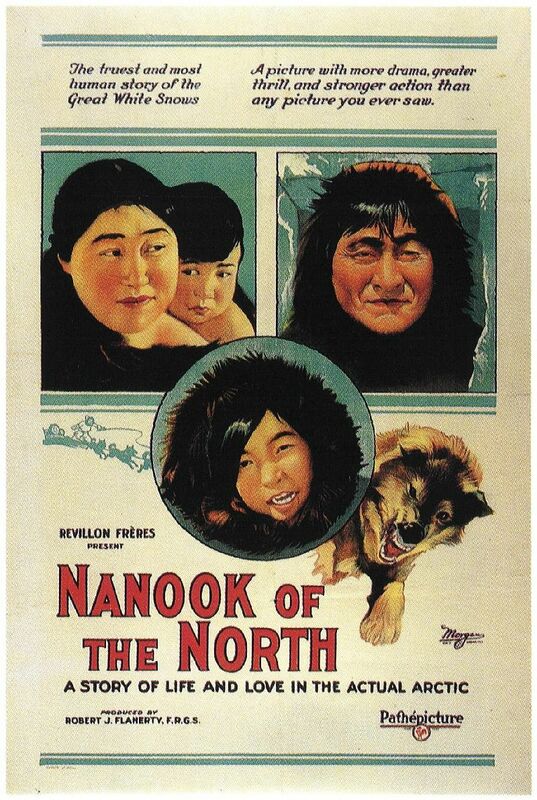 This is a film I knew almost nothing about before going into it, as it came out a year before one of Werner Herzog’s greatest successes, Grizzly Man. For a film I knew very little about, The White Diamond absolutely took my breath away, and quickly became one of my favorite Herzog documentaries. In The White Diamond, Werner Herzog and his lovable voice take us on a journey into the dense rainforests of Guyana, a small country in South America. There we find the film’s subject Graham Dorrington, an engineer who has created a terrific white airship (or blimp) in the shape of a teardrop;his mission is to fly the airship over canopies of the Guyana rainforest. The film chronicles Dorrington’s past as an aeronautical engineer, covers the history of modern flight as a whole, and explores the beauty of Guyana’s vast rainforests, specifically taking a look at the massive Kaieteur Falls, as well as astounding white-tipped swifts, a species of bird which roost in an unexplored cave directly behind the falls. 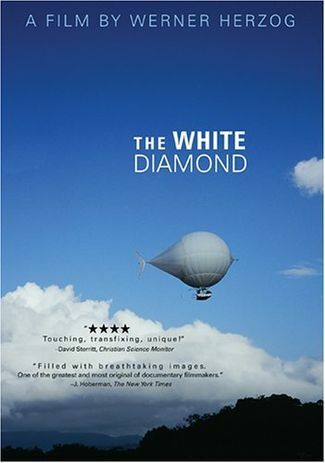 Despite the incredible visuals and Werner Herzog’s always incredible narration and subtle humor, what makes The White Diamond a special documentary and a film to remember is the story of Graham Dorrington’s cinematographer and friend Dieter Plage, who died on an ill-fated ascent in the experimental airship. Herzog films Dorrington telling the story of Dieter Plage’s accident and attempted rescue with unblinking and unflinching direction, never underestimating the weight of Dorrington’s words. 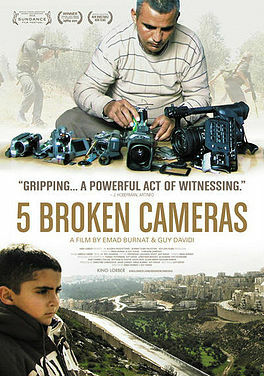 The story is incredible, tragic, and heartbreaking, and is easily one of the great moments in documentary film, period. The White Diamond is one of Werner Herzog’s most underrated treasures, and a film I plan to revisit again for the visuals and the incredible stories featured throughout. High recommendation. 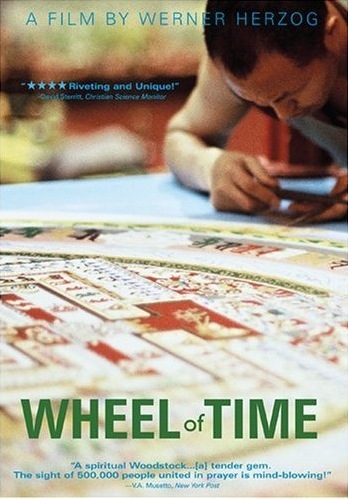 Before the impressive White Diamond came Werner Herzog’s 2003 documentary Wheel of Time, which I knew even less about, but unfortunately wasn’t quite as taken with it as I was with that film. Wheel of Time is once again narrated by Herzog himself, taking us on a journey to through Asia to meet the fourteenth Dalai Lama, who at the time was suffering from rather poor health. Herzog covers two ill-fated Kalachakra initiations, one in India, and the next in Austria, presided over by the sick Dalai Lama, as well as the pilgrimage to Mount Kailash in Tibet; considered by many religions to be a sacred place. Wheel of Time unfortunately didn’t resonate with me the same way previous Herzog documentaries have done, and I can’t quite put my finger on why that is. The subject material isn’t something I’m particularly interested in, but that hasn’t stopped me before. I think the biggest reason for my disconnect is Werner Herzog himself, who is incredibly respectful in his chronicling of the ill Dalai Lama, Buddhist traditions, and the Buddhist people themselves. Not that this respect is a bad thing in any way, but Herzog refrains from using his trademark dark and subtle humor throughout the film’s short run-time, instead opting to cover the events in a much more deadpan style. Fortunately the visuals throughout the film are more than worth the price of admission, with several breathtaking moments being caught by Herzog’s sharp eye. One of my favorite scenes featured Buddhist monks on their pilgrimage, giving money to the poor who remain unseen behind a large fence – with the exception of their arms. Wheel of Time has a lot to say about Buddhism as a whole, and beautifully covers some important and notable ceremonies of the faith, but unfortunately it didn’t move me the way I wanted to. I enjoyed my time with Wheel of Time, but none of it resonated with me in any way – unlike most of Werner Herzog’s documentary films. Even though the film did not personally appeal to me, doesn’t mean that it wasn’t still a delight to watch, nor does it mean you won’t get anything out of it. If you’re interested in Tibetan Buddhism and the Dalai Lama, give this a shot. Recommended.